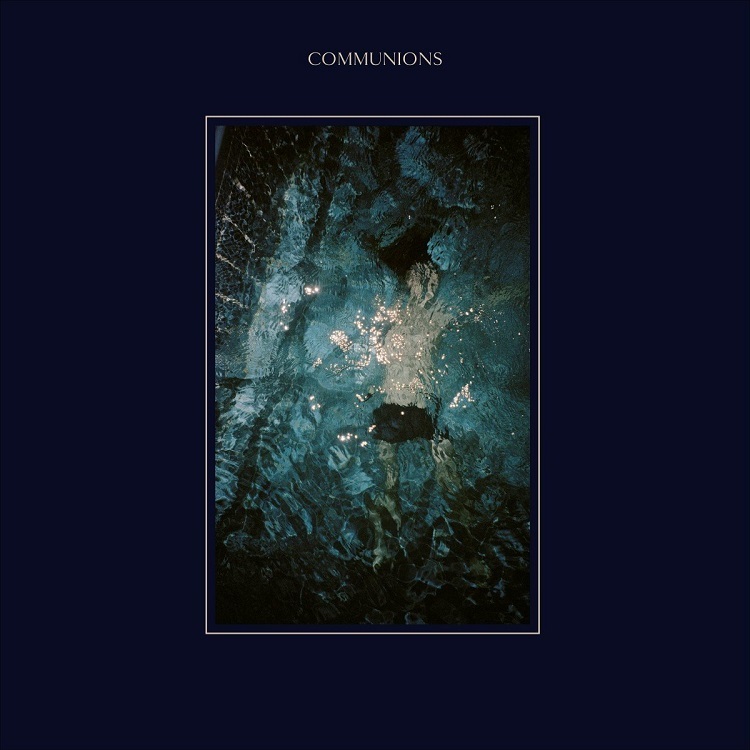 Communions lyrics are usually a juxtaposition of different states of mind, more based on immediate impressions, rather than cohesive narratives. Also, when writing, the melody is usually what comes first, and in that way, many times certain lyrics kind of manifest themselves subconsciously. I think ‘Come On, I’m Waiting’ is a good example of that. There are different feelings conflicting with each other and playing off one another. I think the song is both an expression of freedom and liberation while also being one of alienation and claustrophobia. It’s sort of about waiting for an escape from the ambivalent ups and downs of everyday life into an altogether different form of clarity. The line “turn me into blue” also invokes the album title Blue, which for me, not only bears associations with a kind of clarity, but also with the inherent ethereal atmosphere or quality that I feel some of the songs have. ‘Today’ is about seeing the end in things before they even begin, which, most of the time, leads you into a stasis. I’m sure a lot of people are familiar with the feeling of over-analyzing a relationship to the point that nothing has the ability to surprise you anymore. In a way, I guess the song is about the passivity of thinking too much; about wishing there was a way to transcend anxieties about the future and so on, and just live. Like some of the titles suggest — ‘Today’, ‘Eternity’, and ‘Alarm Clocks’ for instance — the passage of time is a theme that runs through many of the songs. I rarely write from solely my own perspective, and I’m not sure I necessarily was thinking of my own situation in this case, but the song is about time running out, and about being preoccupied with all the wrong things. It’s also about not knowing what you want. Or once you get what you think you want, you find out that it’s really something else you should have been paying attention to all along. With this one we wanted to make something really simple and straightforward. ‘She’s A Myth’ is a love song, but where the feelings aren’t necessarily mutual. In fact, the song is more concerned with dreams. Or rather, it deals with being fascinated with a someone, and the way that, that fascination seeps into considerations that are greater than oneself. The rhythms on this song are quite different from anything we’ve done before. We wanted to make something that had more of a groove than a pounding rhythm. The lyrics deal with a strange mixture of nightlife and insomnia, inspired by the superficiality of nightlife, and the excessive thoughts that run through your mind before falling asleep. This song kind of sticks out on the record, not only because it is longer, but also because some of the rhythms and riffs are, to a certain degree, almost blues-inspired. I think the song has a liberating and decadent aura to it. The lyrics to this song were inspired by our drummer, who, when he was younger, tended to live a very hedonistic lifestyle, at least compared to myself. I know that it’s also his favorite song from the record. Coincidence? We kind of took a chance with the intro, incorporating bongos and so on. But I think it works. In terms of the sound, I think it has a unique blend of warmth and melancholy. It’s brooding, while being and life-affirming, in its message, at the same time. This song is inspired by being broke and owing money away. I kind of imagined a scenario of what it must be like being in total debt to one’s girlfriend. I think this one, along with ‘Got To Be Free’, have a more hard-edged essence, and offer a nice contrast to the more strictly pop-influenced songs on the record. ’It’s Like Air’ centers around a boy-girl relationship, but is more about opening up to the world, and transcending a kind of solipsism. ’Eternity’ can be thought of as life repeating itself endlessly, much like Nietzsche’s eternal recurrence. I think the song sort of parodies that way of thinking though. That is, in other cases, ‘eternity’ can be thought of as an escape from, or end to, time altogether; a sort of timelessness. It’s from that perspective that the song takes it point of departure, and kind of plays with those two ways of seeing the world.